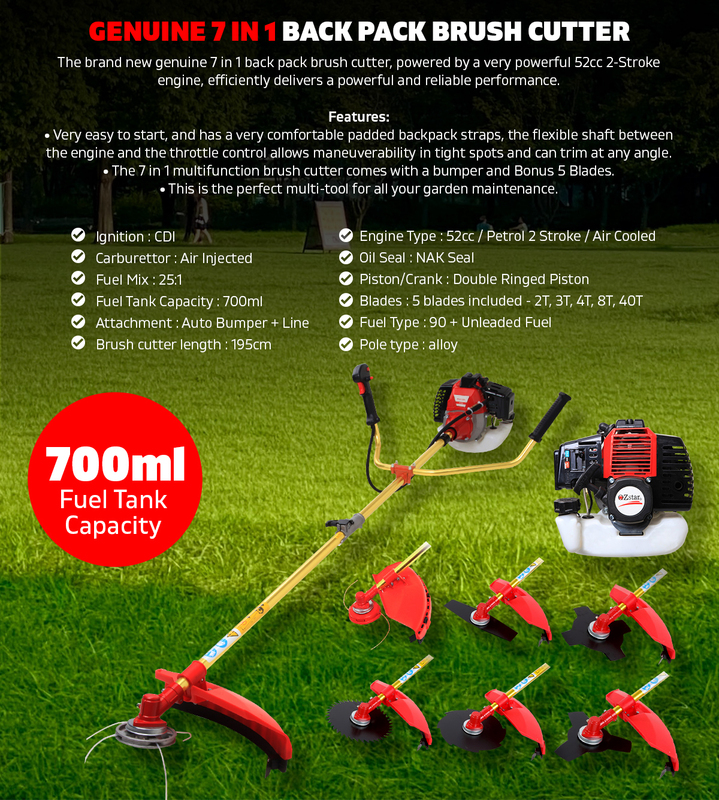 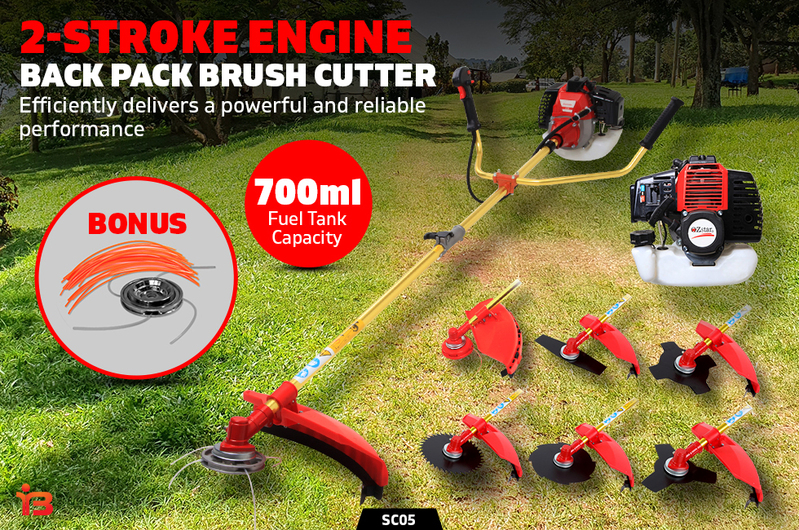 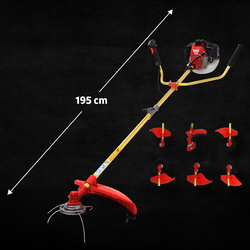 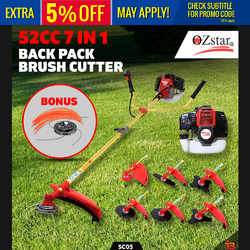 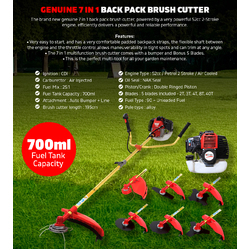 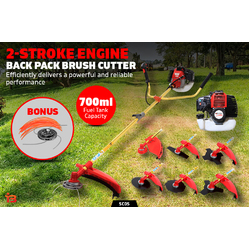 The brand new genuine 7 in 1 back pack brush cutter, powered by a very powerful 52cc 2-Stroke engine, efficiently delivers a powerful and reliable performance. 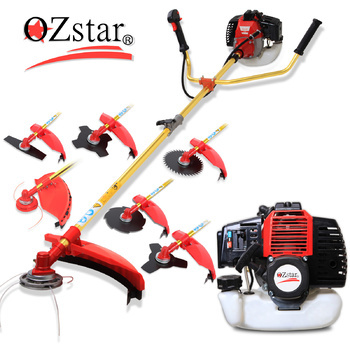 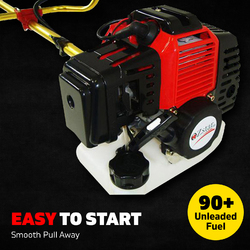 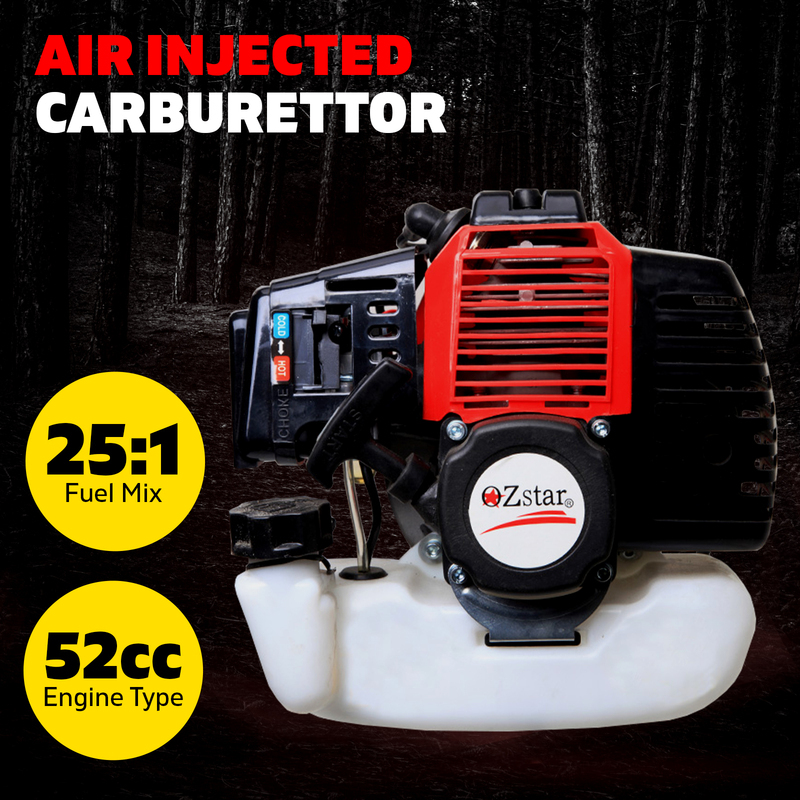 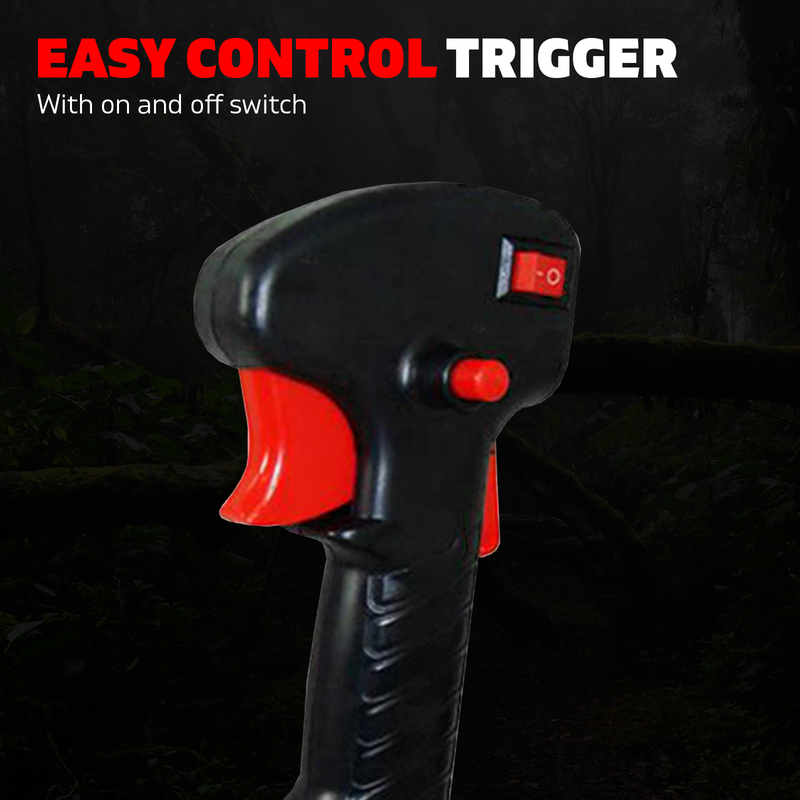 Very easy to start, and has a very comfortable padded backpack straps, the flexible shaft between the engine and the throttle control allows maneuverability in tight spots and can trim at any angle. 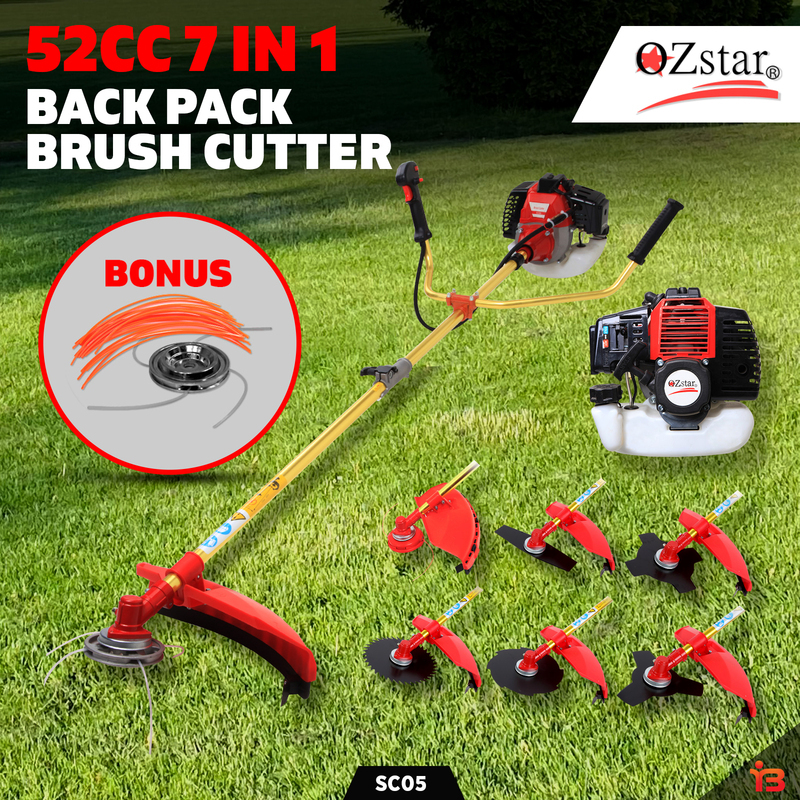 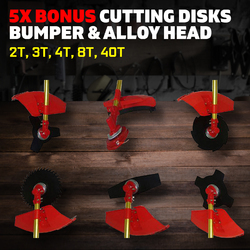 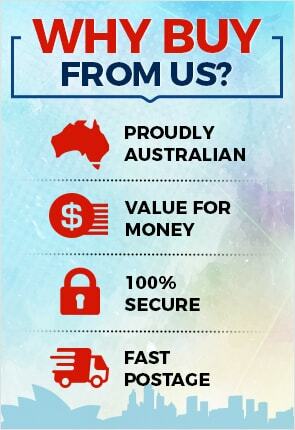 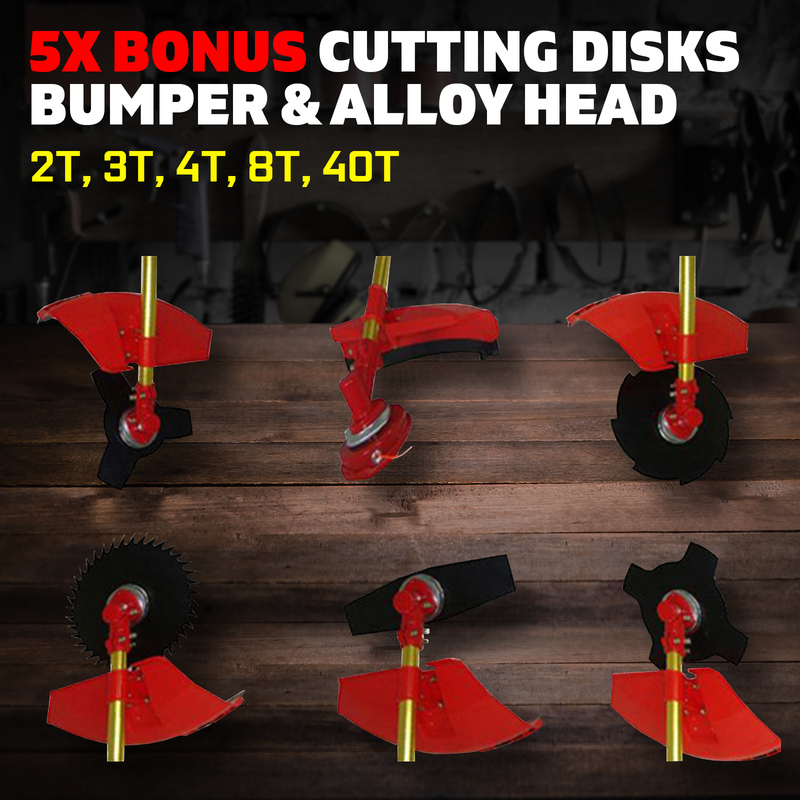 The 7 in 1 multifunction brush cutter comes with a bumper and Bonus 5 Blades. 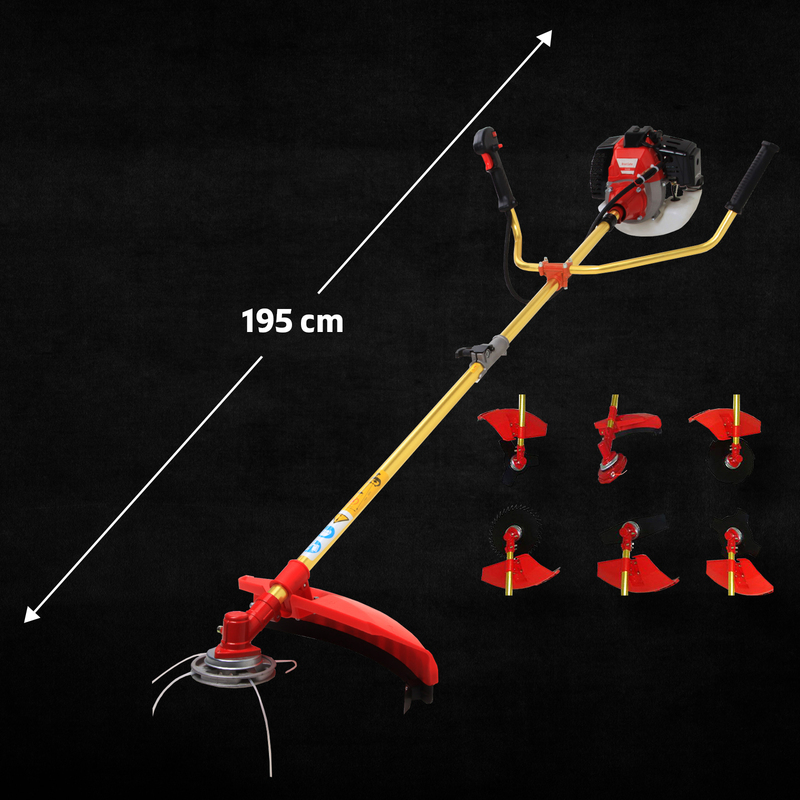 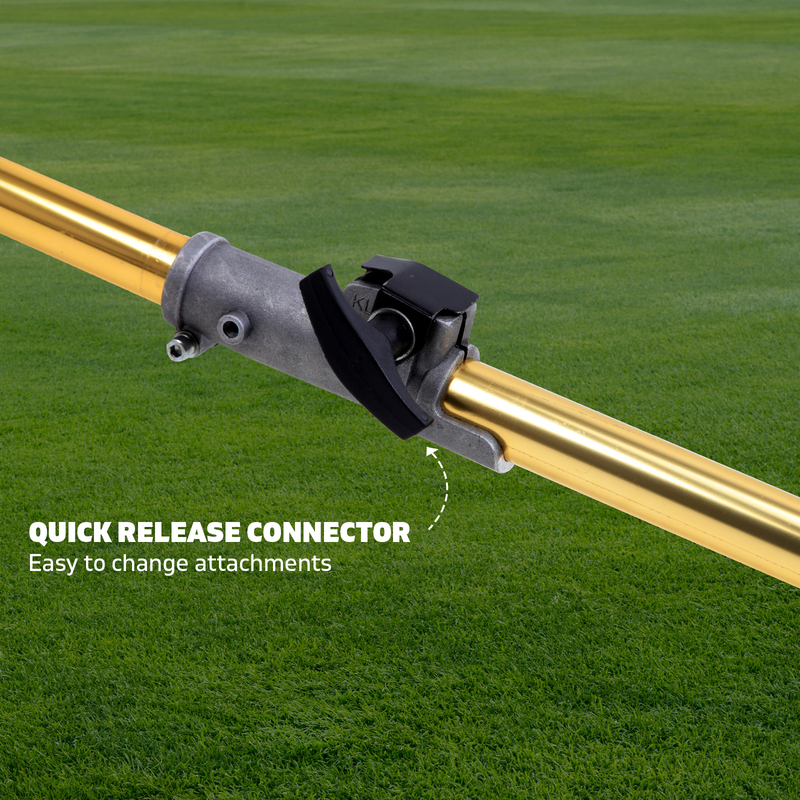 This is the perfect multi-tool for all your garden maintenance.